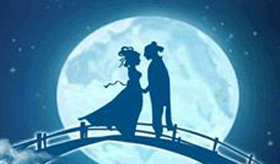 Qixi Festival, known as Chinese Valentine's Day, falls on the 7th day of the 7th lunar month, and this year it falls on Aug 23. 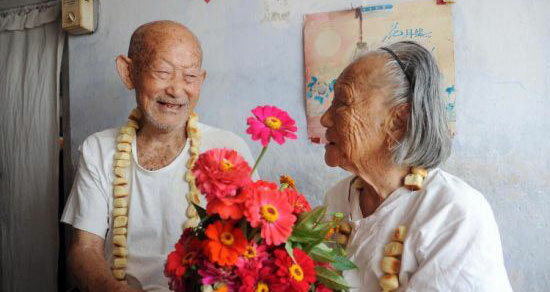 With the approaching Qixi Festival, many businesses start to introduce Valentine's Day bouquets to meet the needs of people of all ages to express their love during the traditional festival. Young couples across the country rushed to get registered on Thursday. Gong Deyun present a bunch of flowers to his wife Sun Yucui at home. Florists and folklorists are debating whether China's traditional Valentine's Day is becoming too commercialized. As surely as instant messaging is now the language of love, snail mail is not. When you have not one, but two special days for lovers in a year, you need to get really creative to surprise your beloved one. Qixi Festival (Chinese: 七夕节； literally "The Night of Sevens"), also known as Magpie Festival, falls on the seventh day of the seventh lunar month on the Chinese calendar; thus its name.